Traditionally a hand-crafted medium, the graphic novel is uniquely suited to autobiographical storytelling. As with written autobiographies, there is a fine line between illuminating self-examination & self-indulgent navel-gazing. Two works by authors/artists who walk this line - This American Drive: an illustrated road trip by Halifax’s own Mike Holmes and Lucy Kinsley’s French Milk - demonstrate how much the graphic novel can vary in form as well as style. In pictures & in prose, French Milk documents Kinsley’s six-week Paris vacation. The novel’s appeal comes in its multi-media design (with photographs, drawings, & text) & in passages charting Kinsley’s struggle to negotiate a foreign culture & the looming responsibilities of adulthood. 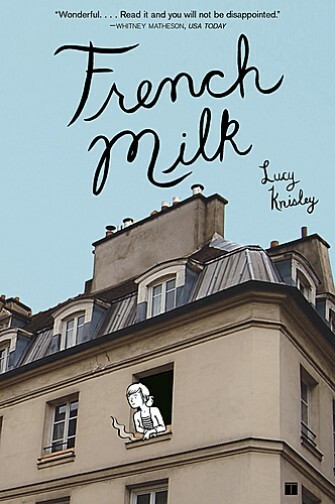 Like Holmes’ book, French Milk is a travel diary. In Kinsley’s hands, the mundane but faithfully recorded details of daily life quickly overwhelm her more interesting insights. After more than a dozen references to what’s-on-the-menu-for-today, for example, I began to question why anyone other than a friend, or devoted Francofoodie, would care. Had Kinsley expanded on her personal reflections, she might have produced a thoughtful & interesting graphic novel. Instead, I was left with an uncharitable impression of a talented but immature young artist. 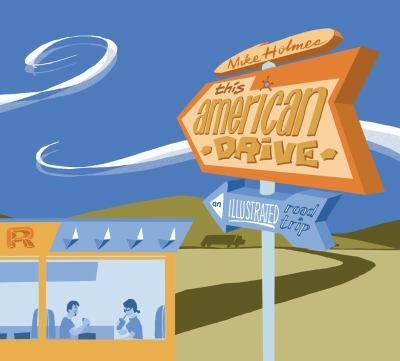 In contrast, Mike Holmes’ This American Drive: An Illustrated Road Trip engages with his insightful & entertaining account of the journey he & girlfriend Jodi made from Nova Scotia, Canada, to Texas. Although Holmes’ history is explored throughout the book, he manages to provide just enough supporting detail without lapsing into narcissism. Holmes tells us about the pleasingly odd sights & sounds & tastes they encountered along the way but this is just part of the story. Before leaving Halifax, Holmes is warned that a road trip stands as the ultimate test for a relationship & his personal observations make up as much of the adventure as his descriptions of the places they visit. Those familiar with Holmes’ comic “True Story” published each week in Halifax’s The Coast, will especially enjoy Holmes’ own true story in This American Drive.